Etihad Airways has renovated the travel cabins for long-haul and ultra-long-haul flights to give the customers an enhanced taste of comfort and luxury in the New Year 2015. The inflight service in the First, Business and Economy Classes has been revised for a greater experience of onboard hospitality on Etihad Airways’ flights to long-haul destinations. The entire fleet is undergoing the cabin interior improvement and inflight service quality enhancement process. Etihad Airways took inspiration from the world’s finest hotel brands to welcome the First Class travelers with a personalized greeting letter on board. 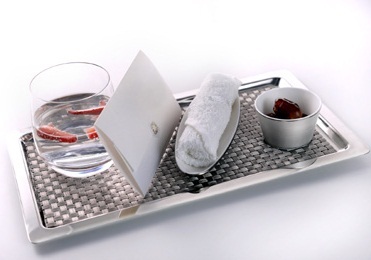 In the First Class cabin, the customers will be served a welcome drink and a fragrant hot towel in an elegant silver tray during the reception. 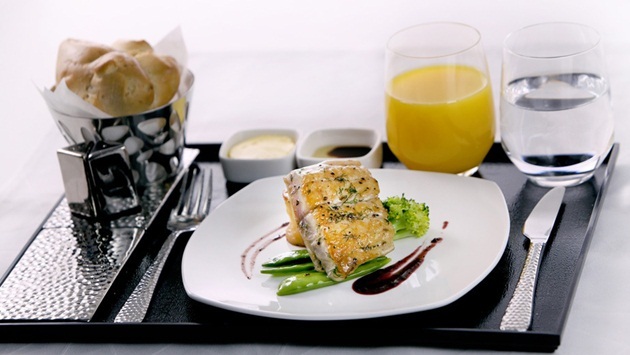 The First Class dining on Etihad Airways’ long-haul flights has been redefined in terms of luxury and service quality. The new First Class dining set consists of designer fine bone chinaware by Nikko in Japan and ‘Royal Oak’ cutlery by Studio William in England. The First Class dining menu has been redesigned incorporating a new selection of uber contemporary dishes including a pre-dessert course. The guests in the First Class will be served tea and coffee with a plateful of cookies, pastries and cakes between two meals. Enriching the luxury of serving wines from Etihad Airways’ inflight cellar is a new set of fine red & white stemmed crystal glasses. Cabin dressing in Etihad Airways’ First Class suits has got a luxurious touch. The First Class suits are refurbished with plush mattress and cushions whose colors are in rhyme with the new interior. Refurbishment of the interiors has been initiated on the Airbus A380 and Boeing 787-9 aircraft in the fleet. Etihad Airways’ Business Class has got the finest makeover too. The airline offers a new turndown service that features a mattress, a pair of slippers and cotton loungewear to make the Business Class travelers feel pampered in luxury. Adding to their comfort are full-size pillows and plush comforter. The Business Class flyers can enjoy the ‘Dine Anytime’ service which remains unchanged and the ‘All Day’ menu on ultra-long-flights. A new selection of contemporary dining sets including signature wares has been introduced to elevate the inflight dining experience in the Business Class. It is in keeping with the sophistication and style that the airline is known for. Etihad Airways’ Economy Class is not out of the renovation and improvement drive. The Economy Class cabin has got plush interiors. The Economy seats are refurbished with new designer headrest covers, fleece blankets and pillowcases. The overhaul of the Economy Class is focused on personal space. Etihad Airways has introduced a revolutionary new pillow to long-haul night flights. Unique to the airline’s branding, the pillow can be converted into a neck pillow for extra comfort for the neck. 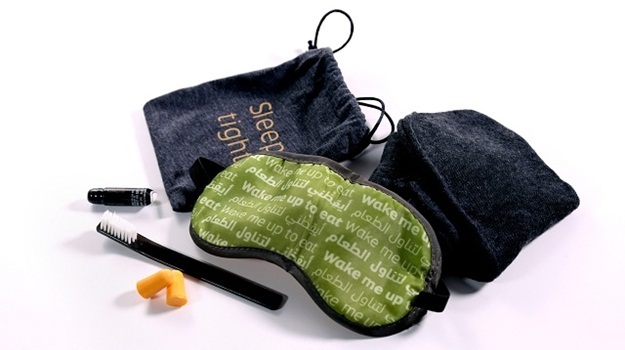 The Economy Class flyers are provided with a basic amenity kit containing a cotton drawstring and an eye mask. The eye mask has two sides with ‘Do not disturb’ printed on one side and ‘Wake me for meals’ printed on the other. A blanket bag for convenience is provided too. The blanket bag can be used as a shoe bag as well. Keep in touch with Indian Eagle on Facebook and Twitter for the latest aviation news, travel tips, travel ideas and travel stories. Log on to IndianEagle.com for the best and cheapest airfare deals for USA to India flights on Etihad Airways.